- Do you often have similar worries? Well, a budget might soothe your troubled mind. A personal budget is just a basic financial plan to allocate certain portions of your salary towards your expenses. Often in life, we might be so overwhelmed by our financial obligations that we might need a plan to proceed. This 'plan' is your budget. Creating a monthly budget and following it strictly is a great habit. It helps you protect your finances. It keeps you grounded and makes sure that you spend your money responsibly. Creating your own monthly budget is as simple as a child's play. You do not need to learn algebra and trigonometry for it. 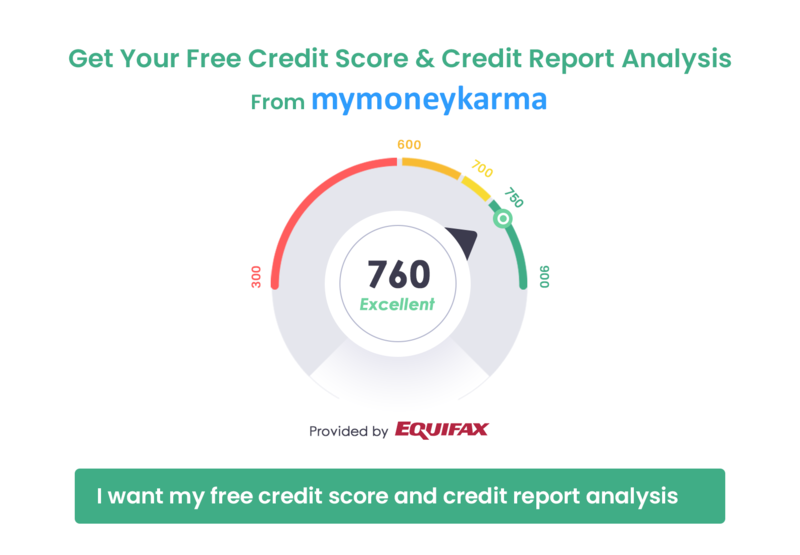 However, mymoneykarma is here to get you started. Read on to understand the areas that you need to consider while drawing your monthly budget. Figure out your take-home income. Your salary might have certain deductions for provident fund, income tax, professional tax, etc. Subtract those deductions and find out how much you take home each month from your full-time job. Apart from this, if you make some money from a part-time job, rented-out property or a side gig, add those earnings to find out your total income. Plan a monthly budget that will cover all your necessities, most of your wants, and still leave more than enough for savings. Planning a budget is the easiest part, following it diligently is tough. You might fail to live up to your plan initially, but you need to keep track of your progress. Record whatever you are spending. You could do it in the typical old-fashioned way by writing down your expenses somewhere, or you could use an app or a website. Monefy is a personal finance management tool which you could consider. Set up automatic payments for your bills and savings so that you do not blow the budget by overspending. Revisit your budget from time to time to inspect whether it is working as planned. Make adjustments to suit your expense needs. As your income, expenses and priorities change, revise the budget accordingly. Each person has different levels of income, areas of expenses and priorities, and your budget should be custom-made to suit your purpose. However, it might take you a while to figure out your own strategy and till then you can follow the popular 50-30-20 budget plan. Most financial advisors recommend that you allocate around 50% of your total income towards your necessities, 30% for your wants and the remaining 20% for savings and debt settlement. This lucid but realistic plan will keep your finances on track in the long run. You will have enough for your daily needs, be able to indulge in luxuries occasionally, manage your debt effectively and retire comfortably with enough savings. But before you set forth on this plan, you must learn to prioritize; you must learn to establish a clear divide between your needs and wants. No budget plan can be of help if you don't get these basics right. Approximately 50% of your post-deductions income should be dedicated to your basic needs. What are those basic needs? Well, they are your fundamental living expenses. Your rent or housing costs, groceries, transportation, utilities, medical expenses, insurance, child care expenses and minimum loan payments are the various categories of 'needs.' By 'minimum loan payments,' I am referring to the minimum amount of repayment that is compulsory every month - whatever you pay over and above that is a part of the 'debt repayment' section of your budget. If your basic needs shoot over 50% of your income, you might have to adjust your expenses by sacrificing a bit from the 'wants' section of your budget for a while and look for ways to bring down a few costs. You might find a cheaper cell phone plan or disconnect your Netflix subscription till you are back on the planned budget. You should always look for ways to reduce your expenses, even if your necessities are well within the 50% cap. By doing so, you will have more funds to settle your debts and increase your savings. Debts are financial burdens - the earlier you settle them, the better off you are. Savings, on the other hand, are your fall-back option in case of a sudden crisis or for a peaceful future. At least 20% of your income should be devoted to these two. The way you split between the two is entirely your personal preference. You could choose to get rid of the debt first and then focus on savings, or you could do both simultaneously. However, never stall your debt repayments - it grows exponentially, and you will inevitably end up in deeper debt. You must consider the bigger financial picture and learn to prioritize. Here are a few suggestions from mymoneykarma on how you can prioritize. Emergency fund: Your first priority should be to build an emergency fund for yourself. Start with the bare minimum, but contribute that amount every month to this fund. The emergency fund serves as a financial cushion for times of crisis. Accumulate enough to support your living expenses for 2-3 months in case you lose your job or suffer medically or meet with an unexpected urgency. Toxic debts: Once you have satisfactorily built your emergency fund, focus on settling toxic debts. Toxic debts are heavy debts from credit cards, personal loans, medical bills, etc. These debts will grow at an alarming rate as they incur a high rate of interest. You might end up paying twice or thrice the amount you had originally borrowed. Try to settle them before they go out of your reach. Once you have paid off these obnoxious debts, focus on paying all other outstanding credit balances in full. If you have anything left after satisfactorily putting enough money into your retirement plan, you should know that you are managing your finances really well. Congratulations on your success! As a reward, you get to keep the remaining amount for yourself. Save it up for irregular expenses such as a much-coveted trip or a new car. Why should you borrow money for these expenses if you have enough already? First of all, make sure that you have successfully separated your 'wants' from your 'needs.' Your living expenses qualify as 'needs,' but inessential expenses like dining out, entertainment, gifts, travel, etc. fall under the 'wants' section. Sometimes there might be a very thin line of difference between the two: your cable connection, your gym membership - are they your wants or your needs? The decision is entirely yours. If you have a strong will to get out of debt as quickly as possible, you would be able to determine whether a few of your 'needs' can be moved to the 'wants' section. Similarly, your financial situation might call for sacrifice - you might have to let go of a couple of your 'wants' so that you recover from debt quickly. However, don't be so stringent with your budget that it leaves you no space for fun at all. The call is entirely yours - think and act wisely. When you get the hang of these nuances, try to customize your budget as per your needs. Make sure to leave enough space in your budget for a little wiggle - you might underestimate an expense, or forget about one. Your budget should be a tool to help you approach your finances in a well-planned manner; it shouldn't be a punishment that makes you scrimp at each step. A poorly drawn budget will demotivate you, whereas a perfectly balanced budget will keep you happy and make you stick to it.